An associate professor in the department of civil engineering, University of Indonesia and has extensive research experience regarding value engineering and innovation in infrastructure, construction, and manufacturing industry. Dr. Berawi serves as Editor-in-Chief for Value World, the journal of the Society of American Value Engineers (SAVE International) (2008-2014) and International Journal of Technology (IJTech). He has been listed by Webometrics as one of the Top Scientists in Indonesia (2015-2017), and his biography featured in the 24th edition of Who’s Who in the World. 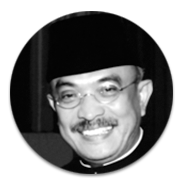 Dr Berawi was appointed as Lead Advisor to the Republic of Indonesia’s Ministry of Transportation (2012), Executive Director of Center for Sustainable Infrastructure Development – CSID (2014), Director of Directorate of Research and Community Services (DRPM) at the Universitas Indonesia (2015), and currently serves as Chairman of Standing Committee on Infrastructure Strategic Policies for Indonesia Chamber of Commerce (KADIN Indonesia). Dr. Ir. Herawati Zetha Rahman, M.T. 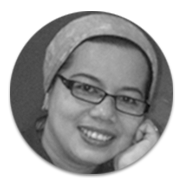 Herawati holds a doctoral degree in Infrastructure Management (Civil Engineering) and a Master of Engineering from University of Indonesia. 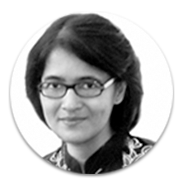 She has extensive experience in research, including in Finance and Asset Management, Cluster Center for Sustainable Infrastructure Development (CSID FTUI), and Integrated Design and Technology (ID-TECH). Herawati works as a senior lecturer at Department of Civil Engineering, University of Pancasila and a team leader of trace study of railway development Pekanbaru-Rengat. She is an editor of Professional Association Publications: Editorial and CSID Journal of Infrastructure Development ISSN: 2407-5957. She is also a member of Project Management Institute, Himpunan Ahli Value Engineering Indonesia (HAVEI), and Persatuan Insinyur Indonesia (PII). Basuki graduated from University of Indonesia with a bachelor’s and master’s degree in Civil Engineering. He is currently a Ph.D candidate from University of Indonesia. He is a certified International Associate Value Specialist (AVS). 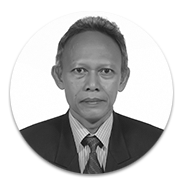 He holds the position of senior lecturer at Civil Engineering, Tarumanagara University, Jakarta. During his career, he is active in Project Construction and Management. Basuki is a member of HAVE-I Jakarta, SAVE International, and ASTISI. Dosohusodo received his bachelor’s degree in Mechanical Engineer from Institut Teknologi Sepuluh Nopember (ITS). He then received his Magister Management from STIE Nusantara. 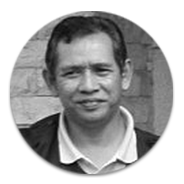 He has managed power plant steam boiler and complex oil & gas construction project for more than 35 years (both in Indonesia and overseas) while applying quality management system and project management practices for maximum productivity and efficiences. His work experience includes Project Management Consultant and Project Engineer at PT. Prosys Bangun Persada and also a Committee Head of Pembina Kesehatan Keselamatan Kerja P2K3 Body, QHSE Management Representative. He is a certified surveillance auditor for ISO 9001, ISO 14001, OHSAS 18001. Prof. Ir. Isti Surjandari Prajitno, M.T., M.A., Ph.D.
Isti Surjandari is a Professor and Head of Statistics and Quality Engineering Laboratory in the Department of Industrial Engineering, Faculty of Engineering, University of Indonesia. She holds a bachelor degree in Industrial Engineering from University of Indonesia and a Ph.D. degree from the Ohio State University. Her areas of interest are industrial management, quality engineering, applied statistics and data mining. She is a senior member of American Society for Quality (ASQ) and also ASQ country counselor for Indonesia. 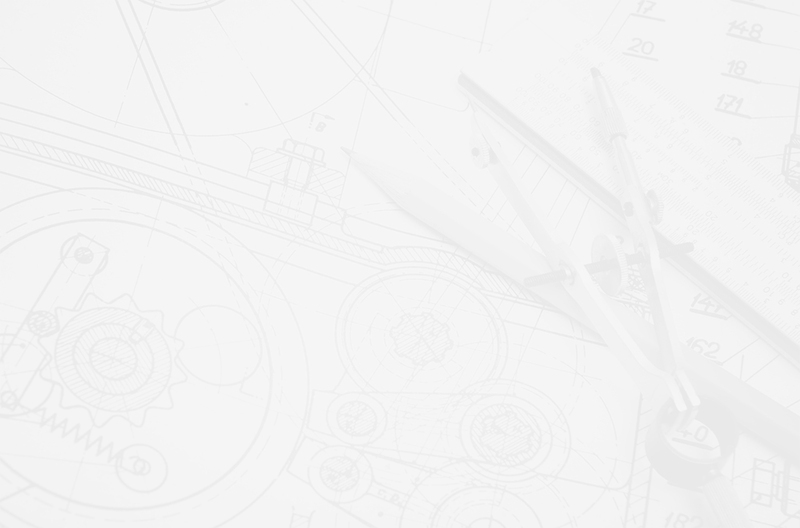 She has a vast experience in manufacturing and service industries. Sapta runs his own business as a Human Resource and Knowledge Management Consultant. For the past 37 years, he has been involved in several careers from corporate professional to consulting in various industries, such as manufacture, forestry, mining, and oil & gas. He also has extensive eperience in Production Planning, Production Operation, Contracting, Project Control, Human Resource Management, and Knowledge Management. He served as the leader of Human Capital Management Function in Rio Tinto Indonesia, Kaltim Prima Coal, Merdo Energi, and Donggi Senoro LNG and the team leader for SKKNI MSDM Development and Researcher for LSP MSDM Indonesia and Institute Human Resources Indonesia. 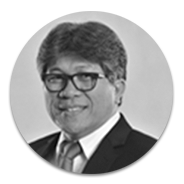 He is the President of Indonesian Association of People Management (PMSM) and Asia Pacific Regional Training & Development Organization (ARTDO). Achmad earned an MBA from University of Southern California, Graduate School of Business Administration, Los Angeles, USA and bachelor’s degree in Planology from Civil Engineering Faculty, Bandung Institute of Technology. 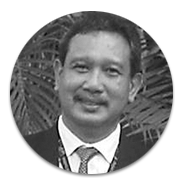 His works experience includes Senior Management Consultant at DEPHAN training Center, Senate for Marsekal Suryadharma / Yayasan Adhi Upaya TNI AU University, and certified instructor for Medco Oil & Gas Industrial leadership development. Achmad is a former HRD Director at PT. Jasamarga (Persero), Commissary Committee for PT Pertamina (Persero), and Kadin Committee for Productivity Improvement in Industrial Research and Technology. 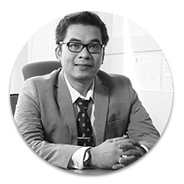 He is also a lecturer at Magister Management, Atmajaya University and STIE Widya Jayakarta. Daru received a Bachelor’s degree in Chemical Engineering from Engineering Faculty, Gadjah Mada University. He has professional and practical experiences as Senior Resident Engineer/Engineering Manager for more than 31 years in national and multinational company, especially in Oil & Gas Onshore & Offshore Industry. He also has various professional experiences at engineering company and operating oil company in Indonesia and overseas, such as PETRONAS Carigali, PT. ELNUSA, PT. PETROSEA Tbk, CNOOC (China National Offshore Oil Corporation) SES Ltd, Ranhill Worley Parson Sdn. Bhd. Malaysia, PT. Enerkon and PT Synergy Engineering. 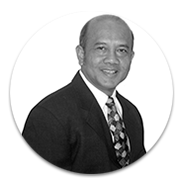 holds a master’s degree in Management of Technology from Institute of Technology Bandung in 1997 and a bachelor’s degree in Physics from the same university in 1990. He has been involved in several careers from academia to corporate leadership to consulting. He was involved as researcher for the Center for Logistics and Supply Chain Studies at Institute of Technology Bandung. During his career he was active as advisory for business owner association in logistics and transportation sector, industrial area management company, as well as airport and seaport management. He was also an active Senior Economist of Logistics for Asia Development Bank and Consultant for the World Bank in the field of Transport and Logistics of Trade from 2012 to 2013. He has served as the member of Penyusunan Cetak Biru Sistem Logistik Nasional team (Perpres No. 26, Tahun 2012), Economics Affair Officer at United Nations for Economics and Social Commission, the Asia Pacific – Bangkok Office, Section of Transport Facilitation and Logistics (2011), Business and Cargo Development Director at Angkasa Pura II, and Human Capital and Business Development Director at PT Wijaya Karya (Persero) Tbk. He is currently a member of Pokja Industri Logam Dasar dan Kawasan Industri, Komite Ekonomi dan Industri Nasional.